Because electric pottery kilns are relatively inexpensive and simple to install, electric firing has become one of the most common firing methods today. 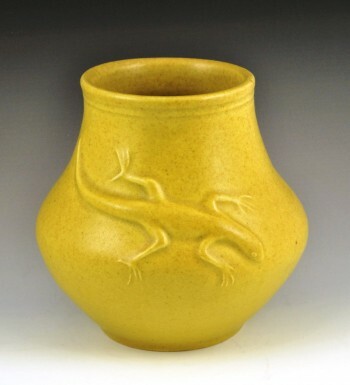 Unfortunately, glazes fired in electric kilns can be uninteresting because they lack surface variations in color and texture – unless you get creative. After four years of experimenting with electric firing, I’ve figured out how to achieve interesting colors and textures in my glazes. Here’s how I do it. 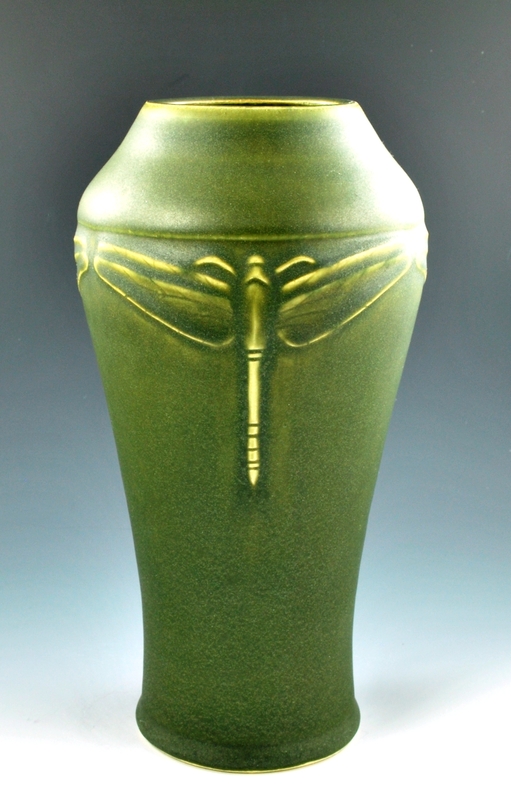 I create highlights of the same color by formulating semi-transparent glazes and varying the glaze thickness. I vary the glaze thickness in a couple of ways. When I dip a pot in a semi-transparent type of glaze, the glaze naturally becomes thinner on the edges of sharp contours. Later, after the glaze dries, I vary the glaze thickness by rubbing off some of the glaze. Because highlighting doesn’t work for opaque glazes, I had to develop a different technique to achieve an interesting glaze surface with these types of glazes. 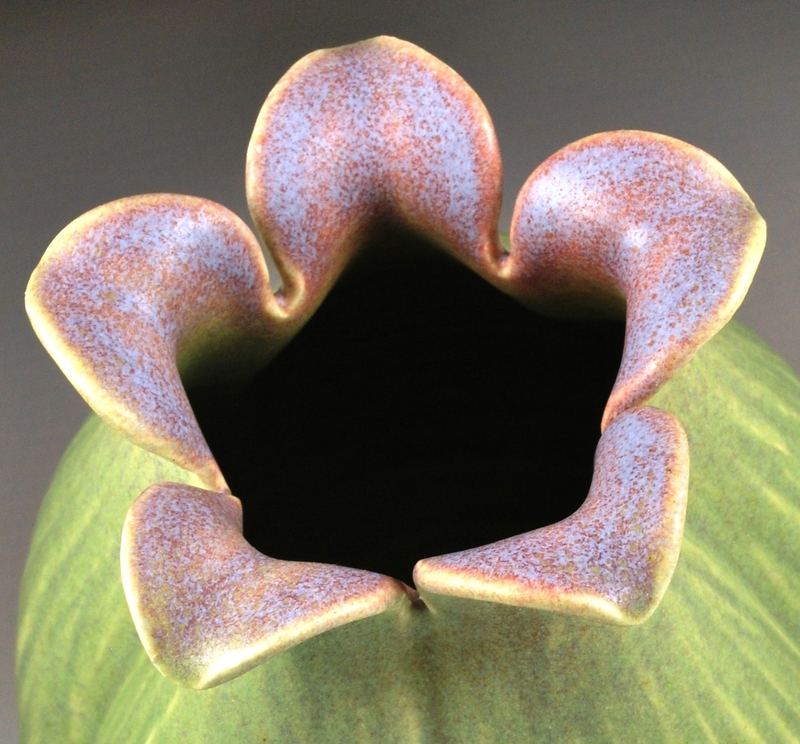 For opaque glazes, I dip a pot in one glaze color and create variegation by spraying a second glaze layer of a contrasting color or shade on top of the dipped glaze. I sometimes layer up to four different color glazes at a time. If the dipped glaze layer is more fluid than the sprayed glazes, the sprayed colors tend to blend seamlessly into the underlying layer. This technique can result in a lovely “ombre” effect. 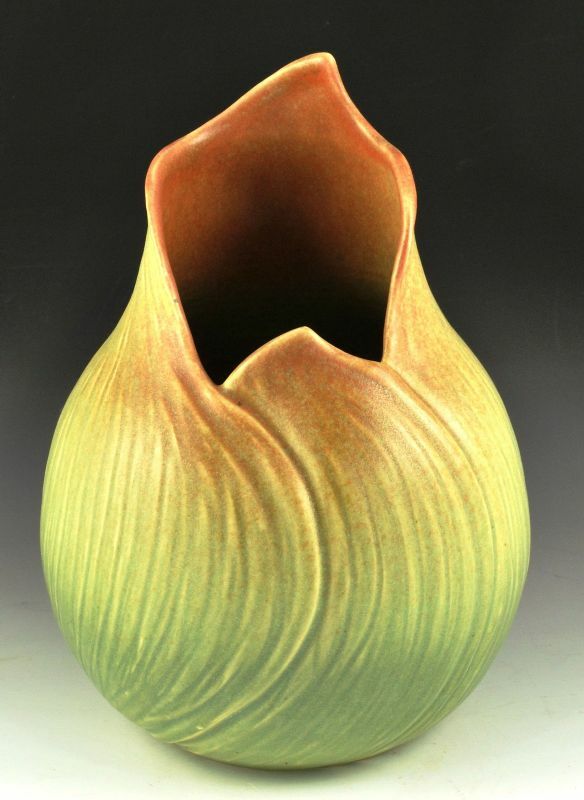 If the glaze layers are thick rather than fluid, the colors tend to “sit on top” of each other. This technique can result in a spotted effect. Speckling agents include coloring oxides that contain particulate matter that speckles the glaze surface. Examples of these oxides include granular manganese, illmenite, and rutile. When I spray glazes, I often add granular illmenite to create small brown speckles on the glaze surface. 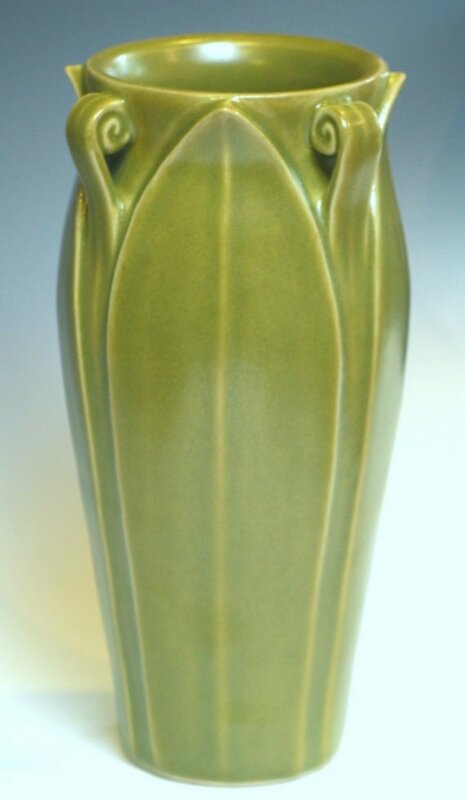 Because my vases are inspired by the pottery of the Arts & Crafts Movement, being able to create matte glazes is critical to my work. 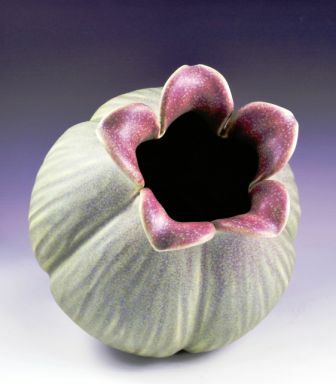 Matteness occurs when small crystals grow in the glaze while the kiln cools. 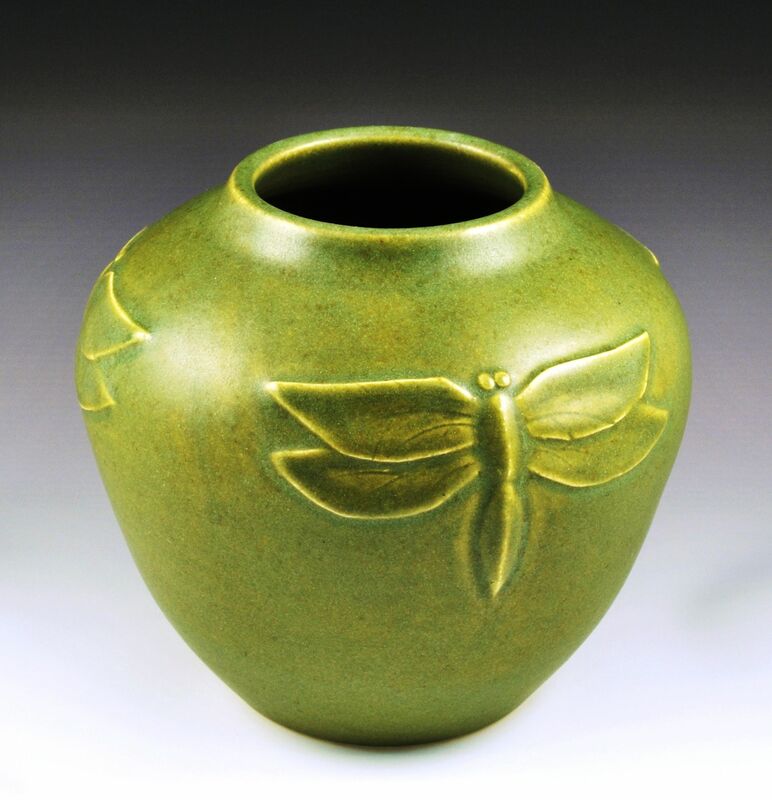 The cooling rate, that is, how fast the kiln loses heat, can dramatically change the surface of the glaze. For example, both of the pots shown below were glazed with my Olive Green glaze. The pot on the left was cooled more slowly than the pot on the right. The result is that the pot on the right is significantly glossier than the pot on the left.